General Description: Crater Hot Springs​ is a unique upscale geothermal resort. This hot spring oasis is encased within a 55-foot tall, beehive-shaped volcano-shaped limestone formation dome. The hole at the top of the dome lets in sunlight and fresh air. You can find this one of a kind hot spring in the Wasatch Forest of the beautiful state of Utah. The resort offers accommodations, golf, and dining. Accessibility: Crater Hot Springs​ is very accessible. You can drive right up to the resort. Once at the resort it is an easy walk around the property. Homestead is handicap accessible. Hot Springs: ​The Crater Caldera is the largest mineral dome in the area and is approximately 55 feet high and 400 feet wide at its base. The water in the crater is about 65 feet deep and an 8–14 foot deep layer of silt covers the bottom of the crater. The temperature ranges from 94 -98 degrees. Hot Spring Tips: ​Crater Hot Springs requires reservations to soak. 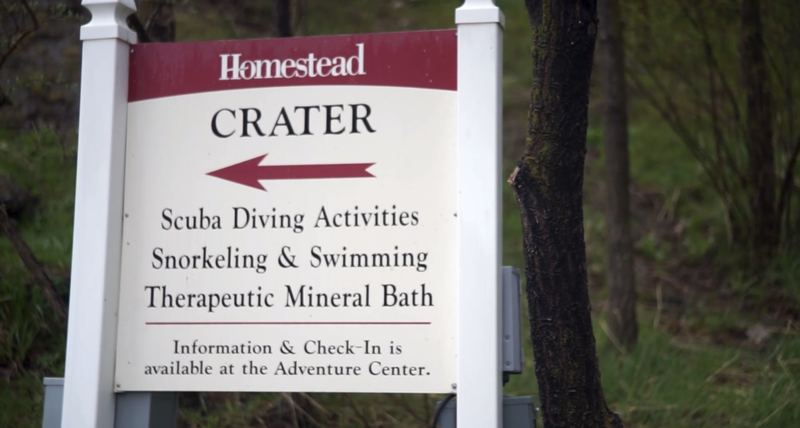 Homestead offers scuba diving activities. 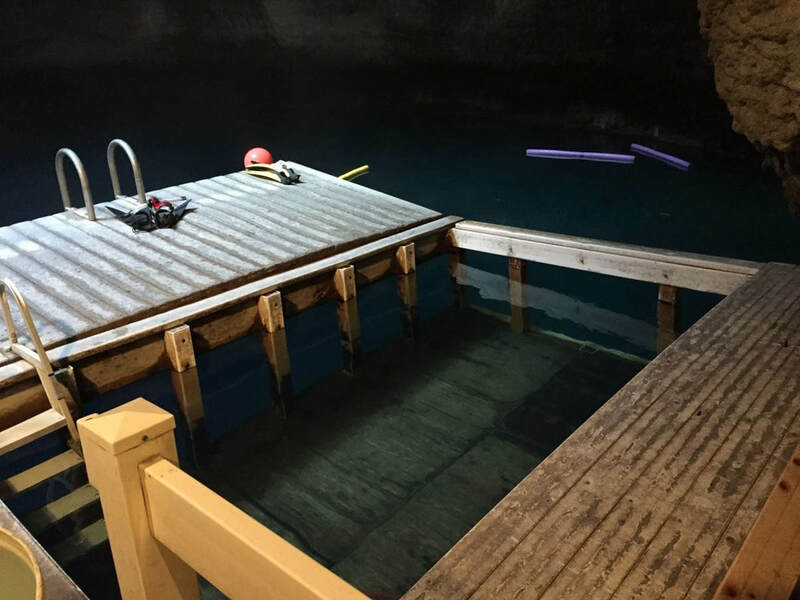 The crater is the only hot water scuba diving destination in the united states. This resort offers golf, scuba, pool, dining, and accommodations. Clothing is required. Pets are not welcome. In the summer they offer concerts for its customers. Youtube Video on Crater Hot Springs is below.